PVC Check Valves – Check-All Valve Manufacturing Co.
An acronym for polyvinyl chloride, PVC is a highly diverse polymer that can be formulated to suit a number of check valve applications. As check valves handle corrosive, acidic, basic and abrasive materials, among others, it is important to have valves that are chemically and physically compatible with the process streams they encounter. One of the most popular examples of plastic check valves, PVC apparatus are nontoxic and provide smooth flexible valve components. PVC is actually used as the seat of many metal valves, such as the brass check valve, as it compresses to form a tighter seal against backflow, the prevention of which is the main goal of all non return valves. 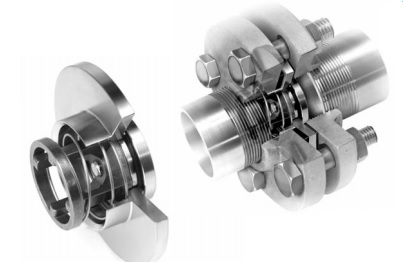 The design varies among the many types of check valves available for different applications, but the basic concept behind them remains similar. Fluid or gas flowing in the proper forward direction creates enough pressure to open the valve by slightly displacing a piston, ball or disc. This stopper mechanism can only open in one direction. Reverse flow inversely pushes the plug back into the hole, creating an air tight seal that will not be opened again until forward flow pressure is greater than the back pressure. Because the operation is entirely reliant on the pressure flows of a process stream, they require no external activation or actuation, making installation easy in pre-existing pipes or cisterns. While metals are often used in check valve design, PVC is just as common, as it is easily fabricated into precise shapes and offers many of the same qualities as metals with lower overhead cost. Because production of polyvinyl chloride requires much less petroleum than most other plastics, it is one of the most popular materials for valve construction. Most components made of this versatile polymer are produced through the suspension polymerization of water and vinyl chloride monomers. Stabilizers, lubricants and plasticizers may also be added to the mix to ensure the proper valve features for a given application. Combining the resins with additives allow for the production of plastic that is rigid or flexible, opaque or transparent and insulating or conductive. After processing, valve components are produced through extrusion, injection molding, stamping and in some instances die casting. Considerations for specific PVC composites include dimensions, pressure ratings and thermal capabilities, all of which may vary significantly depending upon the specific additives included in polymerization. The main weakness of PVC is its aversion to UV light. 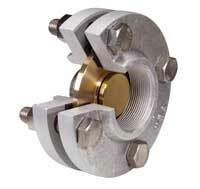 Check valves made of this material should not be used in outdoor applications without consideration for this. Check valve failure could lead to damaged equipment, product contamination, pressure surges and even flooding. As an acetal polymer product, PVC check valves offer high fatigue resistance and lubricity which help to improve product longevity. PVC Check Valves PVC check valves are unidirectional flow regulators made of a particularly versatile thermoplastic resin and easily suited to the specific needs of industrial, commercial and even domestic check valve applications.